For high performance surfing in high performance waves. Works great in real waves with some power and steepness. 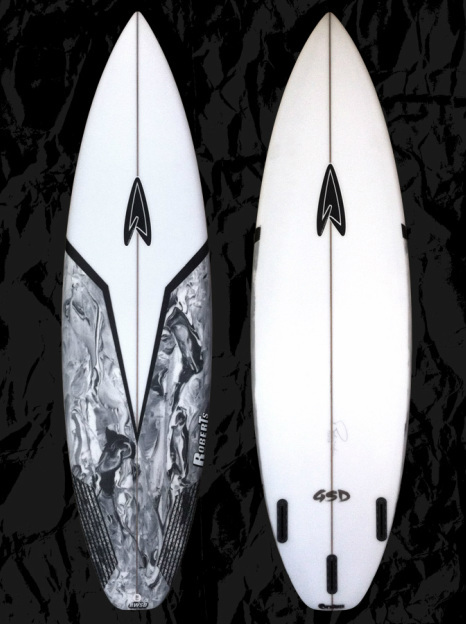 Perfect trip board, it's a high performance machine. Lots of rocker through out the board to fit nicely in a steep face or a critical section. Single concave to a good amount of double concave in the tail. Comes stock as thruster. Five fin option available Riding as a quad works well, especially in fast hollow surf. Shoulder high to double over head. Waves with some solid punch and steepness. Beach breaks, points and reef breaks. The GSD model does not come in stock dimensions and is only available through custom order.